At the age of 28, Pete Dal Bello was forced to resign from his job as a magazine editor. Not once in his life had he felt healthy, but being a workaholic, Dal Bello attributed the fatigue to his busy lifestyle. In 2000, however, work became too much for him. No doctors could give him a diagnosis; he decided to buy burial space at a cemetery because he was sure his time on earth was coming to an end. Despite his failing health, he was determined to find a diagnosis, and eight years later, an MRI finally gave him closure; Dal Bello was diagnosed with the serious neurological disorder Chiari. 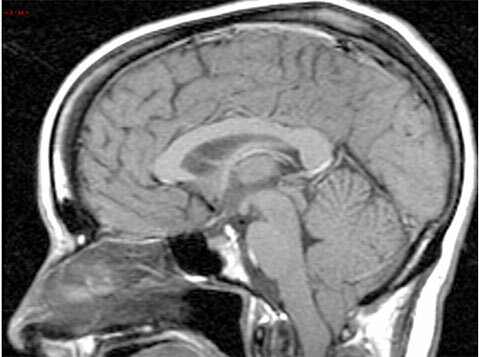 Chiari malformation is when the lower part of the brain, called the cerebellum, which controls balance and coordination, descends out of the skull and crowds the spinal cord, which in turn disrupts the flow of cerebrospinal fluid and causes numerous symptoms such as headaches, muscle weakness, neck pain, slurred speech, difficulty sleeping, and numbness. Because the symptoms are common and can easily be recognized as expressions of other illnesses, and due to the limited knowledge of Chiari, the illness is often disregarded and thus misdiagnosed. “A lot of people have gone through what I have gone through. People with Chiari inspire me, and I would like to help make life easier for others who also suffer from Chiari,” said Dal Bello. So, with longtime friends Robert Mislang and Jason Floyd, Dal Bello launched the International Chiari Association (ICA) in April 2011. In May 2009, Dal Bello underwent surgery at UCLA Medical Center to have part of his skull removed to relieve pressure on his spinal cord. Had it not been for the surgery, it wouldn’t haven been long before Dal Bello would be wheelchair-bound for the rest of his life. Rarely does Chiari take lives, but surgery is generally vital in order to live under normal conditions. Yet surgery will not eliminate the symptoms completely—Dal Bello still battles headaches, neck pain, fatigue, spinal pain, and weakness in the left side of his body. Currently, the ICA has a dozen advisors in the U.S., but Dal Bello and his partners are hoping to someday have advisors all over the globe. “Some parts of the world have never heard of Chiari. Who knows how many lives we can save by raising awareness and educating people?” Dal Bello said. Since the ICA’s launch of a redesigned Web site in September, people from 22 states and 13 different countries have already visited the URL hoping to find information about Chiari. With the demand for information about the syndrome steadily increasing, the ICA site is translated into 12 different languages. According to Dal Bello, Chiari malformation is not covered in medical school, and not all doctors are even in agreement when it comes to the causes. Dal Bello hopes that will change soon. “My hope is that some day, people will see our purple ribbon and think of Chiari just like when people see a pink ribbon they think of breast cancer.” For more information, visit chiariassociation.org.